Seriously. You get mud in odd places, her parents will never really accept you and there’s that whole hassle of deciding what religion to raise the kids as. It’s just common sense. 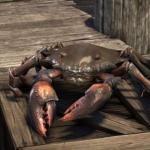 But common sense is no match for the power of love, so here’s the story of one proud Khajiit who was humbled by his mudcrab love. The video evidence, from Eru Earandel, is series of dreamy shots of our Khajiit staring lovingly into his mudcrab mistress’s eyestalks. 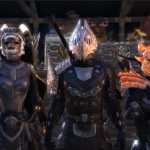 New ESO Live Episode Today ZeniMax is prepping a new ESO Live livestream for today that will feature a question and answer session with The Elder Scrolls Online Creative Director Paul Sage. The livestream can be viewed today at 4 PM EDT on ZeniMax’s Twitch channel, which you can find here. 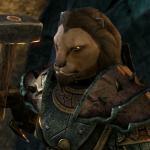 Elder Scrolls Books Coming From Bethesda Are you an Elder Scrolls bibliophile? Do you spend a lot of your time in-game reading and collecting virtual books? Do you wish sometimes that they were real? Then this is for you. Bethesda has announced will be partnering with Titan Books to publish a new series of books based on The Elder Scrolls Online and Skyrim. The ESO series will be called Tales of Tamriel and will feature two volumes of in-game lore, “The Land” and “The Lore” that will include lore on the world of Tamriel during the time of ESO and original art created for the volumes. 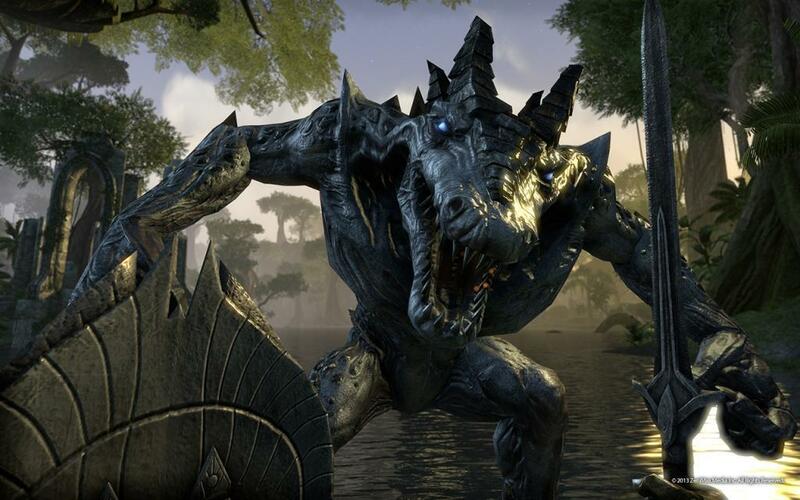 ZeniMax Asks For Feedback on ESO Update Five Today The Elder Scrolls Online Game Director Matt Firor posted a new “Road Ahead” update blog letting us know what to expect with The Elder Scrolls Online’s fifth update and asking players to test and provide feedback on the update. High Elf Statue Considers Itself the Rightful Ruler of Your Shelf This stunningly detailed Altmer statue from Gaming Heads has just the right look of smug superiority on its face. Based on The Elder Scrolls Online, the resin statue is 15.5 inches tall and 1/6th scale. A limited edition is also available that features and LED light in the High Elf’s hand to simulate a spell ready to cast. The standard edition costs $309.99 and is limited to 1000 pieces. The limited edition costs $339.99 and limited to 500 pieces. You can pre-order the standard edition here and the limited edition here. The statues should ship some time in the second quarter of 2015. 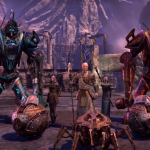 ZeniMax Online Studios held its second ESO Live livestream to talk about The Elder Scrolls Online on Friday. The whole hour and 51 minute stream is worth watching if you’re a super-fan, but if you just want to get straight to the part where they demonstrate the changes coming soon in the 1.5 update, YouTuber Shawn Brunelle has helpfully cut that bit out for you. Gives some details of new veteran content. Shows clips of improved facial animations (they look a whole lot better and convey more emotion). Next TESO Update Might Include Scaling Dungeons A bit more replayability for The Elder Scrolls Online’s dungeons is something fans have been asking for since launch, and it looks like they might be getting it. 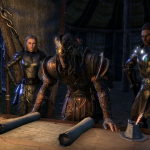 In response to a thread on Reddit criticizing ESO and asking for cross-faction grouping, the game’s creative director, Paul Sage, said ZeniMax is looking at some changes for the next game update. 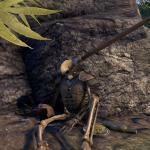 Create a ‘Tale of the Dead’ to Win TESO Swag How do you think this feller died? 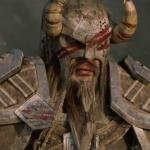 If you have an active imagination and some decent writing skills, you can win some swag by telling ZeniMax your theory. The company is holding a second “Tale of the Dead” screenshot contest for The Elder Scrolls Online. Instructions on how to submit your 500-word-or-less entry describing what led to the is sad screenshot from The Elder Scrolls Online are here. You’re encouraged to be creative and put your story in any form you wish. Three winners will get a $25 Bethesda store coupon and an ESO t-shirt. The fourth major update for The Elder Scrolls Online is out now. It adds a considerable amount of new content to the game, including the Dragonstar Arena, which ZeniMax has released a trailer for above. Dragonstar Arena is a wave-based arena experience designed for four players. It has ten arena challenges in both normal and veteran modes featuring progressively tougher enemies. The update also adds a new territory, Upper Craglorn, which features new settlement Dragonstar (home of the arena), six new group delves and three new group instances as your group goes up against the Scale Empire.